» How’s the view from up there? 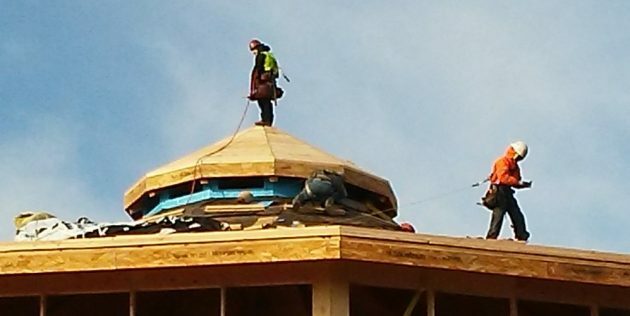 The guy at the top went for the best view. 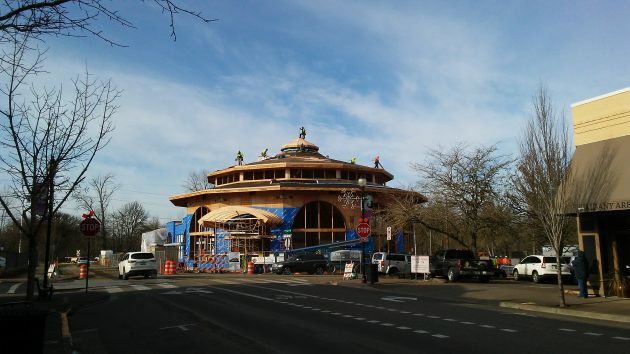 Men were swarming over the roof the Albany Carousel building this morning, tempting passersby like me to take yet another photo of this downtown landmark as it is taking shape. As you can see, the rounded canopy over the front door has also been framed. It’s looking more and more as though the structure, at First and Washington, and costing more than $5 million, will be finished this summer as scheduled. 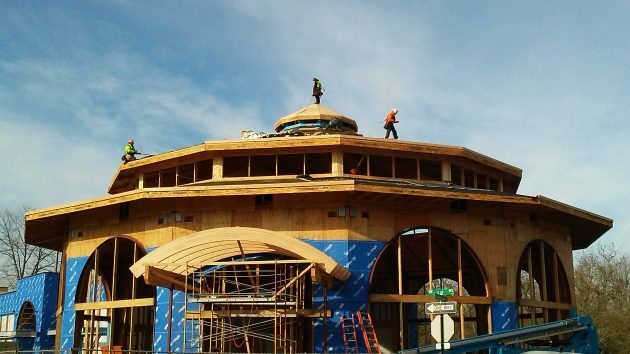 Tags: Albany Carousel, Gerding Construction Co.
Nice pics showing progress. Thanks HH! I think “landmark” is a bit presumptuous”. I think it’s 50-50 vs white elephant. Happy to see the tie-off detail. It’s always tough to find a suitable anchor when you’re working the high point.